The Martha Stewart Living Matchbox Catch is finished in Bedford brass for a classic look. The catch uses friction for efficient operation and is made from metal for lasting durability. Limited lifetime warranty. The EVERBILT Adjustable Ball Catch features an adjustable ball that compensates for the door gap and latch tension. 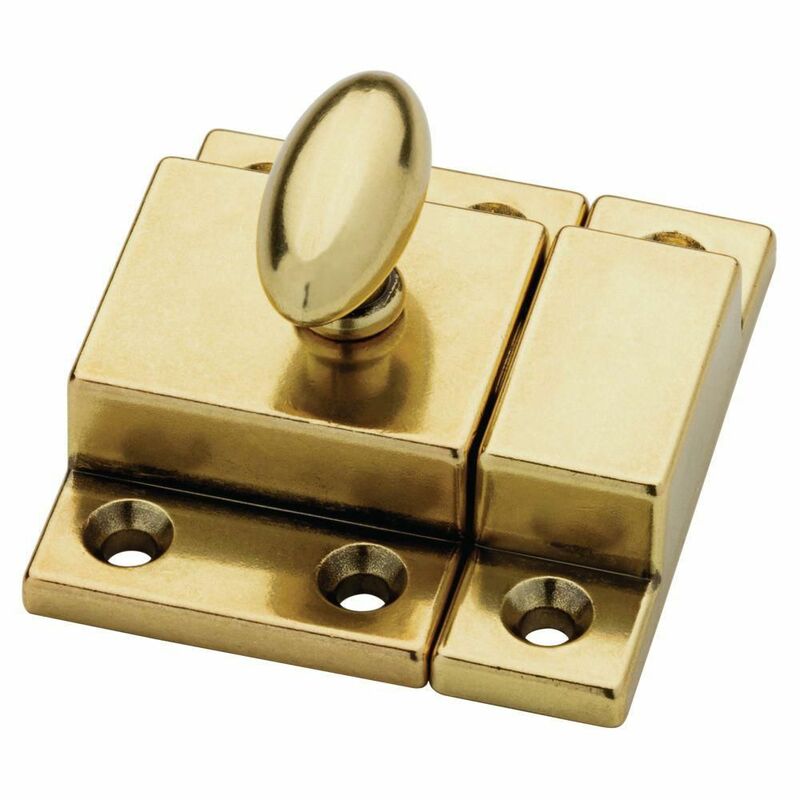 This catch is ideal for latching doors and cabinets. Easy to install. Bedford Brass Matchbox Catch The Martha Stewart Living Matchbox Catch is finished in Bedford brass for a classic look. The catch uses friction for efficient operation and is made from metal for lasting durability. Limited lifetime warranty. Bedford Brass Matchbox Catch is rated 2.9 out of 5 by 46. Rated 1 out of 5 by Arnold from The tongue of the latch is too short to reach... The tongue of the latch is too short to reach the receptacle without placing the body of the latch too close to the edge of the cabinet door. Rated 5 out of 5 by Brian from high quality material, functions very well.... high quality material, functions very well. Rated 2 out of 5 by Wayne from The latch is too small. It barely latches. Other than... The latch is too small. It barely latches. Other than that it looks good. Rated 4 out of 5 by Stix from Works like it is suppose to ! !... Works like it is suppose to ! ! Rated 4 out of 5 by Hugo from I thought these latches would stay open but they do... I thought these latches would stay open but they do not. They are spring loaded and the latch has to be held in the open position until you pull it clear of the latch. Not what I thought I was ordering. Although they are good quality and look good.